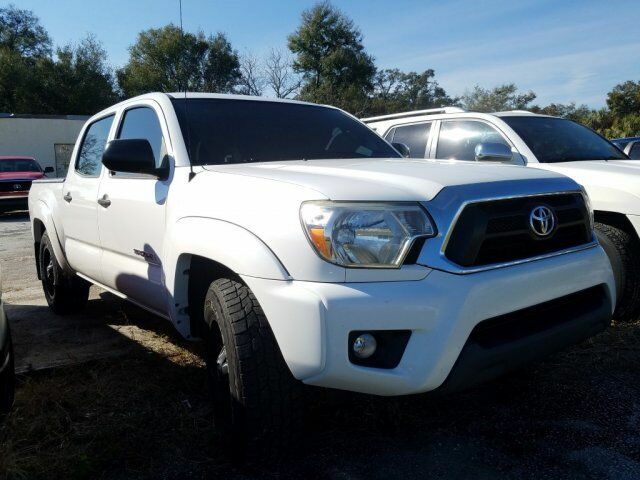 Land a bargain on this 2014 Toyota Tacoma before someone else snatches it. Spacious but agile, its dependable Automatic transmission and its strong Regular Unleaded I-4 2.7 L/164 engine have lots of charm for a budget-friendly price. It has the following options: Wheels: 15" x 6J+45 Style Steel, Urethane Gear Shift Knob, Transmission: 4-Speed Automatic w/ECT-i, Tires: P215/70R15 AS, Tailgate Rear Cargo Access, Steel Spare Wheel, Smart Device Integration, Single Stainless Steel Exhaust, Side Impact Beams, and Regular Dome Lighting. You've done your research, so stop by Lakeland Toyota at 2925 Mall Hill Dr, Lakeland, FL 33810 this weekend to take a test drive of this great vehicle!